Mario Balotelli, eh? An enigma shrouded in mystery then varnished with a thin coat of cryptic perplexity is what he is – sometimes he’ll throw darts at you and sometimes he’ll give you a hefty cut of his casino winnings. 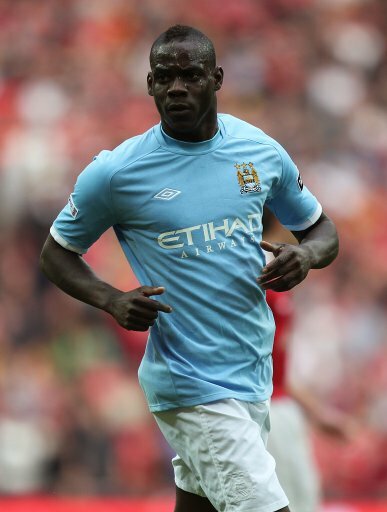 According to The Sun, this week’s bizarre Balotelli story sees our compelling protagonist winning £25,000 during a trip to Manchester’s 235 Casino with Blackburn skipper Chris Samba (who knew?) last week, only to hand £1,000 of his windfall to a ginger-dreadlocked tramp that he passed on the way home. “Mario is really generous. He always hands £20 notes to the Big Issue boys without even taking the magazine. There’s a guy he always sees around town with ginger dreadlocks and a beard. He carries his possessions in two carrier bags. Next week: Super Mario adopts three adult cheetahs then sets them loose around Manchester city centre, before headbutting Rio Ferdinand’s car until it explodes in the Old Trafford car park. i bloody love this kid, football needs people like him! keeps it interesting! Balotelli gave away 1000 pounds to a tramp. Tossing him one coin at a time. I know that tramp through working with homeless families at manchester council, he will spend it on drugs, he’s a numpty and always kicking off in the customer service centre. Glad I left that job!! @Chris W – btw, you almost had me spitting my coffee on the keyboard with the last bit about next weeks episode. Firstly because it was great but secondly because I thought that I wouldn’t dismiss either scenario. @Michael D: Our aim is to please/short-circuit your computer! @Rosler’s Foreskin: Amazing insight into the inner-workings of your average hobo! ahh i wish this guy played for manunited, he deffo has a personality. makes the whole game interesting as well.